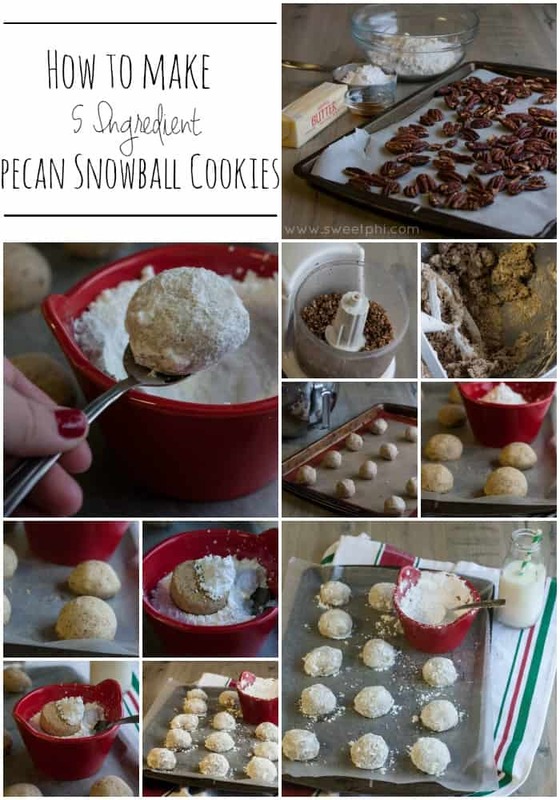 These 5 ingredient toasted pecan snowball cookies are such an easy Christmas cookie to make and have a delicious nutty flavor and practically melt in your mouth. The extra step of toasting the pecans really brings out the best flavor, and then coating the cookies with powdered sugar gives them a beautiful sweet note, all around, these are one of my favorite Christmas cookies! This week is all about Christmasy and holiday goodness: Graham cracker houses with a glue that dries super quickly, cocktails, sugar cut-out-cookies that hold their shape, and now these toasted pecan snowballs. Life is good! And only 5 ingredients? You know what that means…they’re definitely perfect for my 5 Ingredient Friday series…but it’s a Thursday…but you’ll forgive me because we’re talking about cookies and it’s the holidays, right? And I have a super delish recipe coming tomorrow as well. Now that we’ve gotten that out of the way, I need to know: have you ever had a snowball cookie before? I think these were always a staple when making Christmas cookies. They’re just so easy! 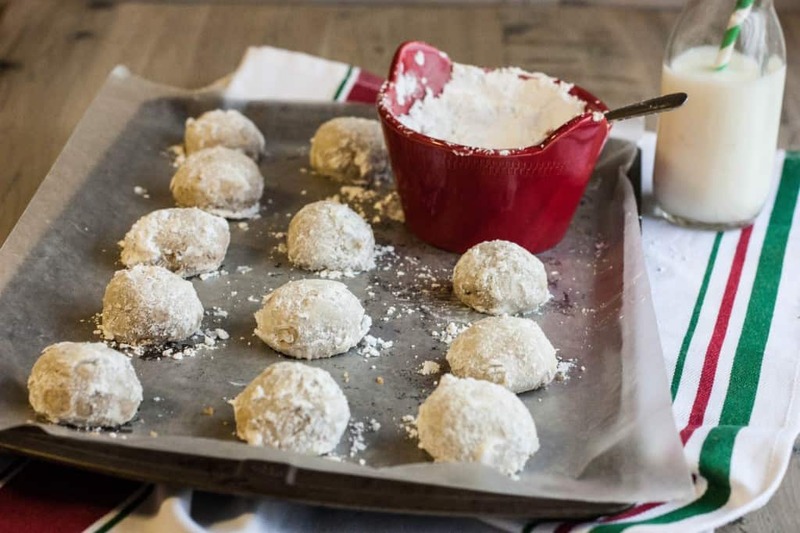 You literally toast the pecans, run them through a food processor, mix the other ingredients together, create balls, bake them, then coat them with powdered sugar and viola, you’re done! The only hard part about these cookies is making sure you don’t eat them all before letting others enjoy them. This may or may not have happened at my house. I made these cookies and ate 1 (ok, fine, you got me, I ate 3-I have no self control around these bad boys) and then packaged up the rest to send to friends. I was showing my husband the pictures of these, and he goes “hey, when did you make those?” Oooops! Guess I know what I’ll be making this weekend! Preheat oven to 325. Line a baking sheet with parchment paper and toast the pecan halves for 5 minutes or until they become fragrant and toasted. Remove pecans from oven and then pour them into a food processor and pulsate until they are a fine and no big chunks remain. In the bowl of a stand mixer cream the butter and powdered sugar, then scrape down the sides of the bowl and add the water and vanilla, mix again. Add the crushed pecans and four to the bowl of the stand mixer and slowly mix together. The dough will be crumbly, just take pieces of dough and form into balls with your hands and then place on a lined baking sheet. Bake for 15 minutes - or until bottom edges start to brown. Remove from oven and allow to cool for 5 minutes, then drop them gently in a little bowl with powdered sugar and coat them. Place them back on a lined baking sheet and allow to cool, then enjoy! These snowball cookies are a match made in heaven lol, they just melt in your mouth! I totally forgive you for posting this on a Thursday because these look absolutely scrumptious! You really do make the best cookies ever. 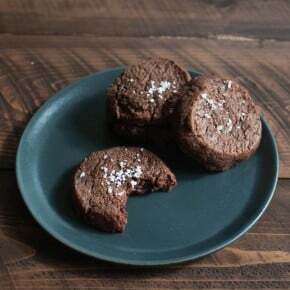 Oh my goodness, I could totally see cocoa in these as well, I definitely have to find that recipe and try it out! Thanks for commenting girl! 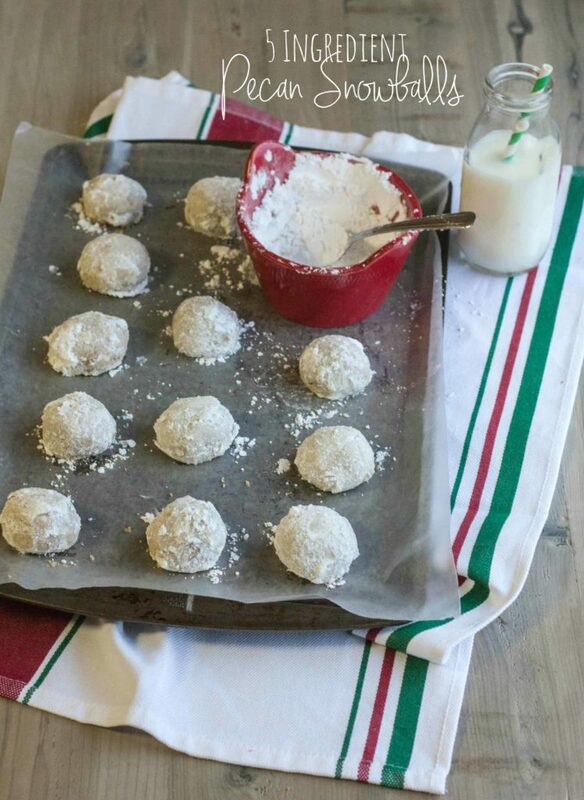 Just read your recipe for pecan snowball cookies and they look so good! Thank you! 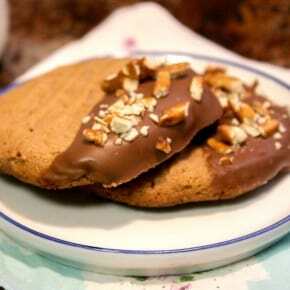 I have many food allergies and can’t find a really good cookie recipe that does not have allergens, milk, or eggs. I just made chocolate chip cookies and they are runny with lumps and taste awful. You are a great cook! Thank you so much for your comment Susan, if you can eat these, I think you’d absolutely love them! I used to make these all the time, but with almonds! They’re sooo delicious and buttery, you totally have me craving them!